Please note that this case study was first published on blogs.ucl.ac.uk/eicah in June 2014. The case study was last checked by the project team on 19 August 2014. Figure 1. Gold communion cup, London, c.1662, belonging to St. Mary’s church, Welshpool. ©National Museum of Wales. Figure 2. 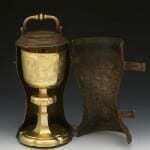 Gold communion cup, London, c.1662, belonging to St. Mary’s church, Welshpool. ©National Museum of Wales. 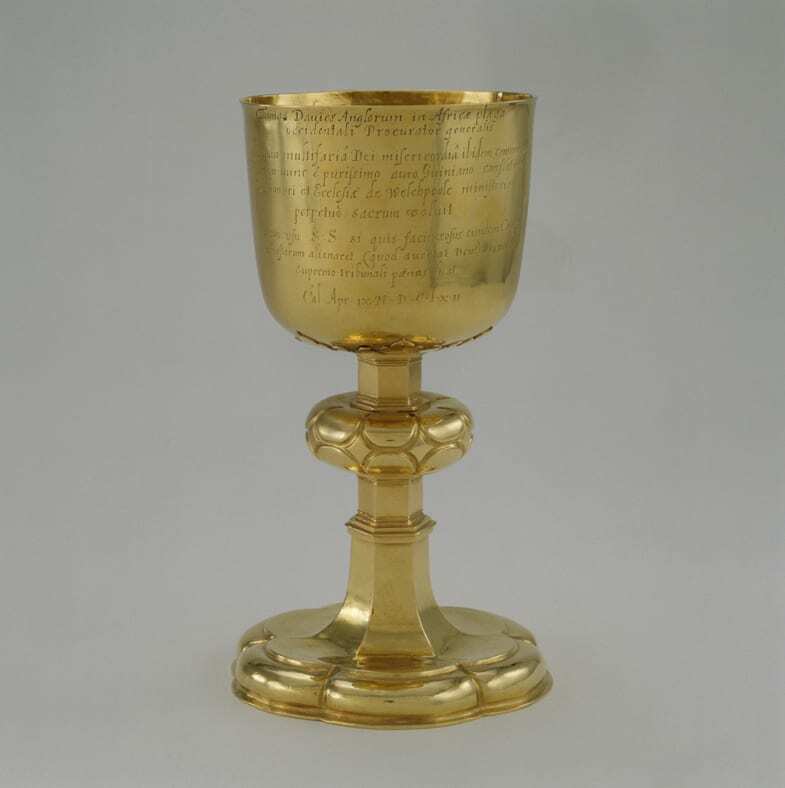 The remarkable gold communion cup belonging to St Mary’s church, Welshpool, was the gift of Thomas Davies, a native of the parish and a servant of the East India Company. The cup bears the date 1662 and a lengthy explanatory inscription which, in conjunction with archival records of the period, sheds light on a brief but fascinating West African episode in the history of the East India Company. As Nicholas Canny has written with respect to the early British empire, ‘most English propagandists for colonisation conceived it as an exclusively English enterprise to which Welsh people were silently admitted.’ The cup is therefore also a rare and important early witness to the Welsh contribution to the development of an English empire in the mid seventeenth century. The cup was placed on loan at the National Museum of Wales in 1994, since when it has been a highlight of the displays at the National Museum in Cathays Park, Cardiff. 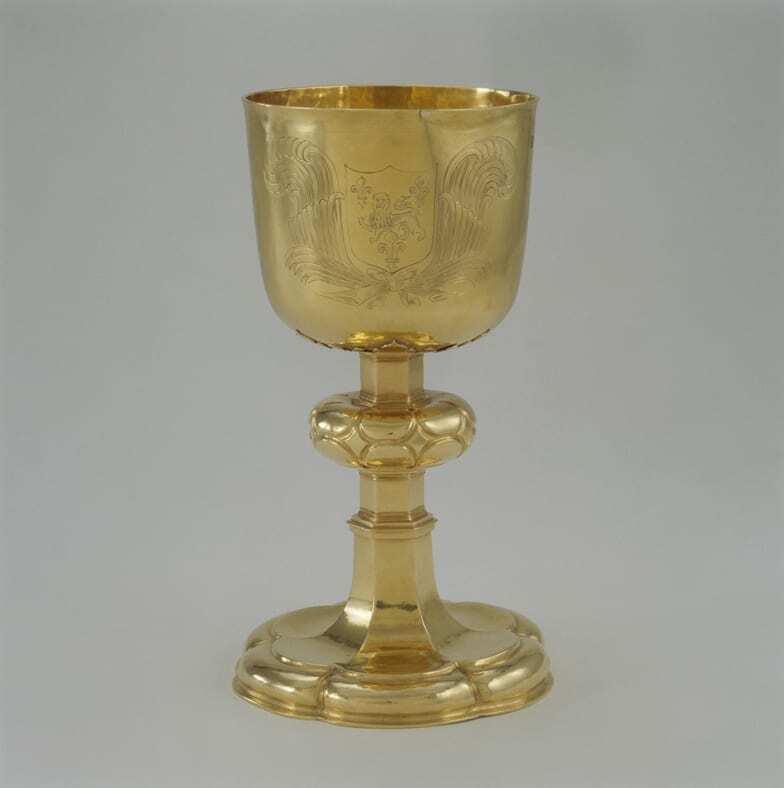 The Welshpool cup is one of fewer than thirty surviving examples of British gold plate made in the seventeenth century. 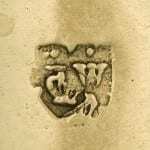 As is usual with gold objects of this date there are no assay marks, which were not required until 1717 and often omitted on specially ordered pieces. 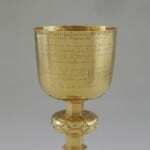 The inscription dating this cup to 1662 is therefore invaluable if also – as will be seen – problematic. Thomas Davies was the son of Richard Davies (1583/4-1661) and Margaret, of Ceunant on the west edge of Welshpool, a prosperous Montgomeryshire market town overlooked by Powis Castle, seat of the powerful Herbert family which was to play a key role in the East India Company’s eighteenth- and nineteenth-century history. 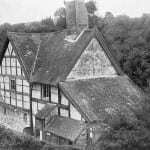 Remarkably the house survives, a relatively modest example of a lobby-entry house, the commonest traditional Montgomeryshire type. As will be seen, it is inconceivable that Thomas Davies was not a slave owner but we know very little about his Barbados estate. It may have been 200 acres or less, which when compared to the most eminent plantation owners like Colonel Henry Drax (with 800 acres) places him at the lower end of the spectrum of significant landowners in Barbados but certainly living on a far grander scale than had been possible for him in Wales. The best-documented period of Thomas Davies’s life is the time he spent working in West Africa between apparently settling in Barbados in the 1650s and writing his will there in 1664. 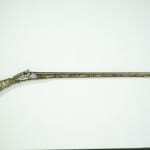 It is the records not of the Royal African Company but of the East India Company that illuminate his career in West Africa. Two questions remain in deciphering the gold cup’s inscription. First, the meaning of ob vitam multifariâ Dei misericordiâ ibidem conservatam [‘on account of his life having been saved there by the manifold mercy of God’]. Second, the date: Cal. Apr. IX. 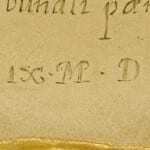 M.D.C.L.X.II [9 April 1662]. By the late 1660s Davies’s exceptional gift of a gold cup graced the church of St Mary in Welshpool. Here, in regular use as intended and in conjunction with the inscription on Davies’s cenotaph, it would have served as a physical reminder to parishioners of its donor in Barbados and through him of the town’s connectedness to a wider world of empire and burgeoning trans-Atlantic trade. The text and research for ‘The gold cup given to the parish church of St Mary, Welshpool, by Thomas Davies (d. 1667)’ were primarily authored by Andrew Renton, who works as Head of Applied Art at Amgueddfa Cymru – National Museum Wales. Andrew is particularly grateful to Dr Margaret Makepeace, Lead Curator of the India Office Records at the British Library, for her generous assistance; also to Kathryn Jones of the Royal Collection Trust, Mary Davis at Amgueddfa Cymru – National Museum Wales and Jason Evans at the National Library of Wales. Nicholas Canny (ed. ), The Oxford History of the British Empire: Volume I: The Origins of Empire: British Overseas Enterprise to the Close of the Seventeenth Century (Oxford: Oxford University Press, 1998), p.3.